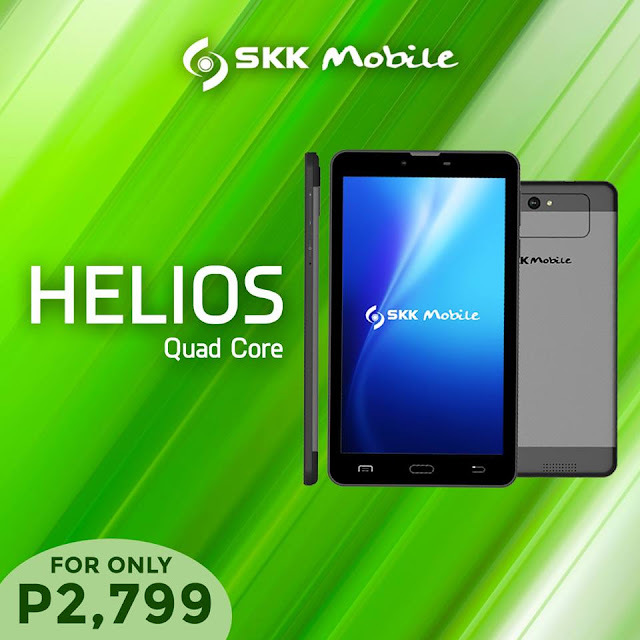 Back in May, SKK Mobile released a Helios Android tablet with dual-core processor and price tag of Php2,599. Looks like it was not that good in terms of sales and users wanted to have a bit more powerful tablet and yet retraining the same affordable price tag. And looks like SKK Mobile listened and responded immediately. SKK mobile, through their Facebook page, announced that a new version of SKK Helios will be arriving soon at their stores. The photo above was posted on the Facebook page showing the same Helios slate but is now powered by a quad-core processor instead of a dual-core one. However the price tag is Php200 more expensive than the previous model. Hopefully that price bump is not just for the processor upgrade. As of writing only the photo, processor and pricing have been revealed by SKK Mobile. I am assuming here that the rest of the specs will be the same as found on the dual-core version of the SKK Mobile Helios, I could be wrong but most likely that is the case. See more specs below. Once I get new information from SKK Mobile about this tablet, especially if set of specs are slightly different including the processor, I will just update this post so stay tuned. 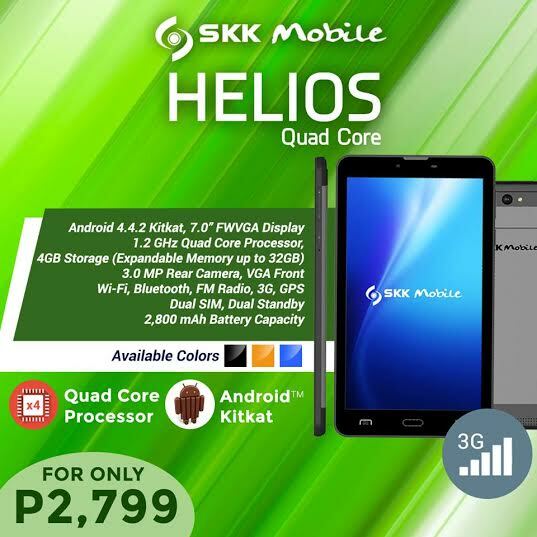 UPDATE: 6/30/2015 : SKK Mobile posted another photo of the Helios tablet and this time around with its specs, see image below.